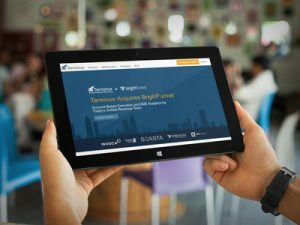 Account-based marketing platform provider Terminus has announced it has acquired BrightFunnel, a marketing attribution and forecasting solution, for an undisclosed amount. Through the acquisition, Terminus aims to build a platform for executing and measuring go-to-market initiatives, whether they are account-based or a mix of ABM and inbound. Terminus’ ABM platform is designed to help marketing teams orchestrate account-based advertising, operationalize account web engagement and report on target account progression through the funnel. In May 2017, the company raised $10.3 million in Series B funding to expand its product and employee base. BrightFunnel’s solution aims to help companies associate marketing activity with revenue through analytics such as AI-powered multi-touch attribution, account-based measurement and revenue funnel analytics. Following the acquisition, the BrightFunnel team will continue to be based in its headquarters in San Francisco.